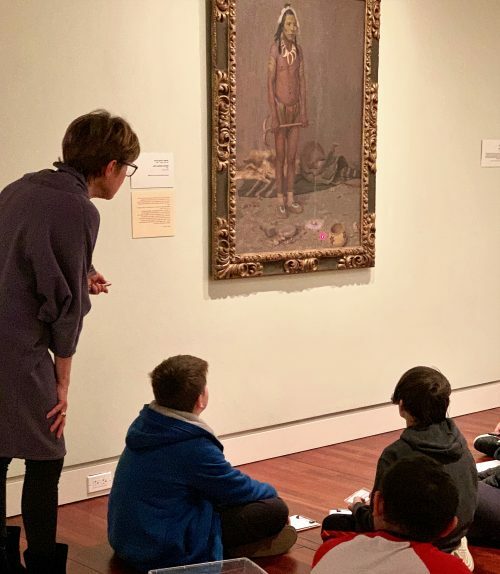 Tours of the Fine Arts Center’s world-class art museum are crafted for a variety of ages and interests. Enrich the minds and imaginations of your students with the ageless power of art. We offer a variety of tour options for educational groups of all ages, sizes, and abilities. We offer tours for a variety of groups including clubs, service organizations, church groups, etc. We love our volunteers! The success of many FAC touring programs is due to the commitment from our passionate volunteers. We are so appreciative of the time, commitment and dedication these amazing people bring to the FAC.